Tolong aktifkan javascrip anda untuk melihat konten berita ini. Silahkan klik tulisan atau gambar untuk lanjut membaca Dish.fm Finds the Best Dishes to Order at Restaurants. 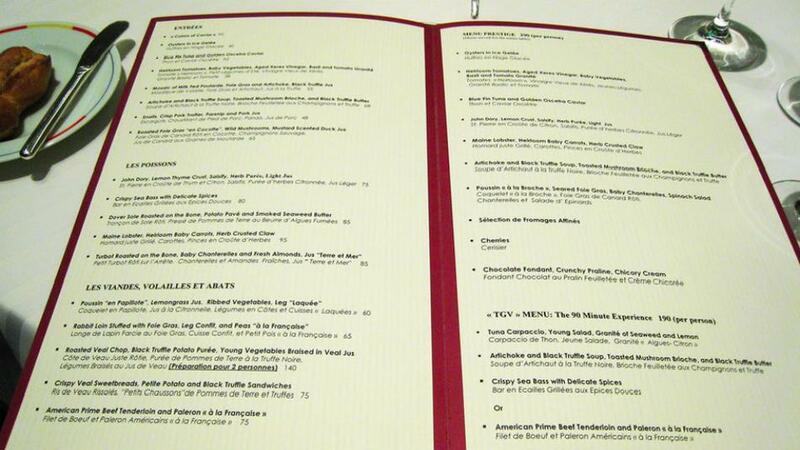 One-Liner Pitch: Dish.fm makes sure you don't order the wrong thing on the menu at a restaurant. Why It's Taking Off: It's like Yelp for meals instead of just restaurants. 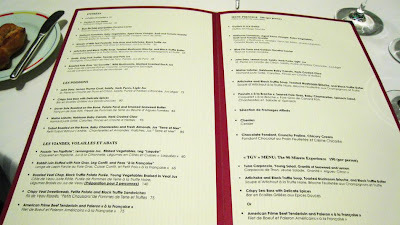 Finding a good restaurant to eat at has arguably never been easier thanks to review sites like Yelp, but picking out the right thing to order from the menu can still be a challenge. That's where Dish.fm comes in. 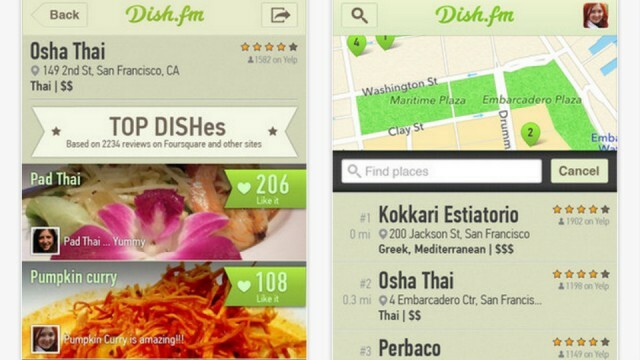 Dish.fm, a free iPhone app that launched in mid-December, highlights the top dishes at restaurants in San Francisco and New York by analyzing data from millions of posts on web services like Yelp, Foursquare and Instagram. The startup developed an algorithm to process natural language in restaurant reviews and perform sentiment analysis for specific dishes that are mentioned in order to find the most highly rated items on the menu. Zhanna Sharipova, one of Dish.fm's three co-founders, had a bad streak of eating at decent restaurants in Moscow but ordering the wrong thing on the menu. One night, she ordered "tasteless" pasta from a restaurant and started picking at the food from the plates of two of her longtime friends, which got the group to thinking about how to prevent this situation from happening with other restaurant-goers. "I was picking food from their plates and they were laughing and saying that in the age of information technology and iPhones, this should never happen because there is so much knowledge in the world about everything," Sharipova told Mashable. "We played with the idea and decided to make an application that could solve the problem by telling me in advance which dishes are tastier than others." The result is an app that's simple to use and very visual with pictures of the recommended dishes on each menu displayed front and center. 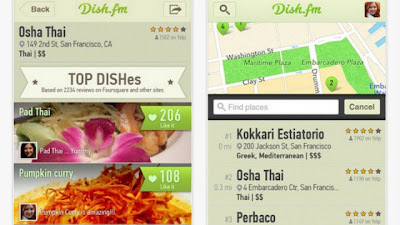 Dish.fm launched in private beta in early 2012 and was originally more of a user-generated review service for meals, similar to apps like Foodspotting. Soon enough, the team came to the realization that it would take years to accumulate enough data this way to make the service appealing enough for the mainstream consumer so, in July, the app was reconfigured around data from other web services. "The mass market consumer is actually more lazy -- they really want to just get a recommendation about what's best to order and don't want to contribute that much," Sharipova said, based on surveys that her team did on its users and the users of competing applications. "The problem was for those mass market consumers, there was not enough content to attract them." Since releasing the app publicly a few weeks ago, Sharipova said it has attracted "several thousand" users with a 30% weekly growth rate. The Dish.fm team, which currently consists of six people, is working to launch in several more cities this month, including Los Angeles, Chicago and Boston, which should help boost those user numbers. It is also working on an iPad version of the app, to be released around March or April, and an Android version to be released sometime after that. Dish.fm raised $300,000 in seed funding from Igor Matsanyuk, a Russian venture capitalist and former VP of Mail.ru. The startup plans to eventually generate revenue through promoted recommendations within the app and by providing restaurants with data on how their dishes are perceived by users and how they compare to other restaurants nearby.